The Water Cooler is pleased to host guest blogger Cynthia Ruchti. Welcome Cynthia! The success of a radio interview is as easy to calculate as the number of baby guppies born in the night. Did listeners rush to their local bookstore to purchase or order the book? Were there more than two people listening? Please, God? Since God is the only one with answers to those questions about numbers and impact, we adjust our expectations toward satisfying radio interviews. Is there anything we can do to ensure listeners, interviewers, and the author will end a radio interview satisfied with the process and what was communicated? Oh, you’d like a more detailed answer than that? See midway through the bullet points below. Muzzle the dog. Dogs come equipped with radar-like sensitivity for the most inconvenient time to bark or whine-during a live radio interview. Find an enjoyable place for the dog to hang out or a relatively sound-proofed spot for you to conduct your interview. Choose coffee or tea over an iced beverage. Ice cubes clink. Condensation makes a drinking glass slippery. The plastic on bottled waters squeaks and pops at inopportune times. Even if you’re drinking water, opt for a mug with a large, easy-to grip handle. Disable call waiting on your phone. Any blips or burps, even the technology kind, will temporarily disrupt the interview, which is as serious as interrupting a reader’s immersive experience in your book. Keep a careful record of the contact information, date, time (allowing for different time zones), and details like the radio host’s name, number, and whether you or the program producer calls. Compile your notes, reminders, talking points, bonus topics, and Scriptural connections in one easy-access spot. I use a large foam core board for each book currently considered for interviews. Right now I have an interview board for As Waters Gone By and one for Tattered and Mended: The Art of Healing the Wounded Soul. This week I’ll create a board for An Endless Christmas. There I’ll post potential interview questions/answers, quotes from the book, additional bits of research, two or three statements relating to the book’s theme(s) to which I can turn if the discussion derails, etc. The boards slip behind a chair in my office when not in use. Create sample questions that can’t be answered with a simple (and boring for radio interaction) yes or no. Keep a small notebook nearby to jot connecting point thoughts (and use a pen you don’t have to click or uncap during the interview). Call the host/hostess by name sometime during the interview or refer to a profound, heartwarming, or intriguing statement the host made. Fifteen minutes before the interview starts, make one last trip to the bathroom. Stay others-centered. What interchanges will make the interviewer feel great about having you as a guest? What points of interest will make the audience glad they tuned in? Spend time in God’s Word and in prayer prior to the interview. You’ll enter the interview calmer, refreshed, vitalized, and well-prepared. This post originally ran on the ACFW blog and is used here with permission. 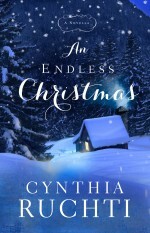 Cynthia Ruchti tells stories hemmed in hope through her award-winning novels, novellas, devotions, nonfiction, and through speaking events for women. She draws from 33 years writing and producing a 15 minute scripted radio broadcast called The Heartbeat of the Home. She and her plot-tweaking husband live in the heart of Wisconsin. You can connect with her at cynthiaruchti.com or hemmedinhope.com. This entry was posted in Marketing and Promotion and tagged cynthia ruchti, guest post, publicity, radio interview by keelyboeving. Bookmark the permalink.